And in our Oven ! A family-owned bakery in Powell, Ohio. Everything we sell is made by hand and from scratch in our kitchen. We offer cakes, cupcakes, cookies, brownies, buckeyes, and of course, our signature butter cookie cut-outs. Get custom cookie shapes and designs to match your unique event. 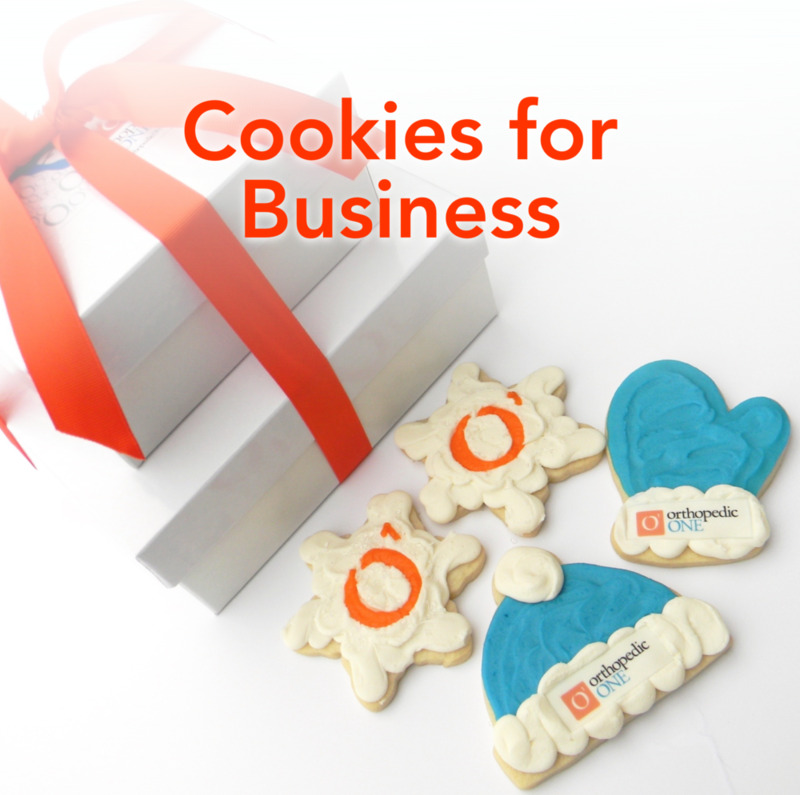 Cookies with your company logo make great gifts or a special touch for corporate events. Learn more. Fill your dessert display with a variety of custom cookies, cupcakes and more.